We frequently get cold calls from potential clients who ask about our services. They ask us everything from "What do you charge?" to "What paint color is best for a kitchen?" to "Why should I hire a designer? I can get tips from HGTV and ideas from Pinterest. What are the benefits?" As the first point of contact for most of these calls, I have the pleasure of fielding and answering that ubiquitous last question! There are so many reasons why working with an interior designer can be beneficial. Too many to list! 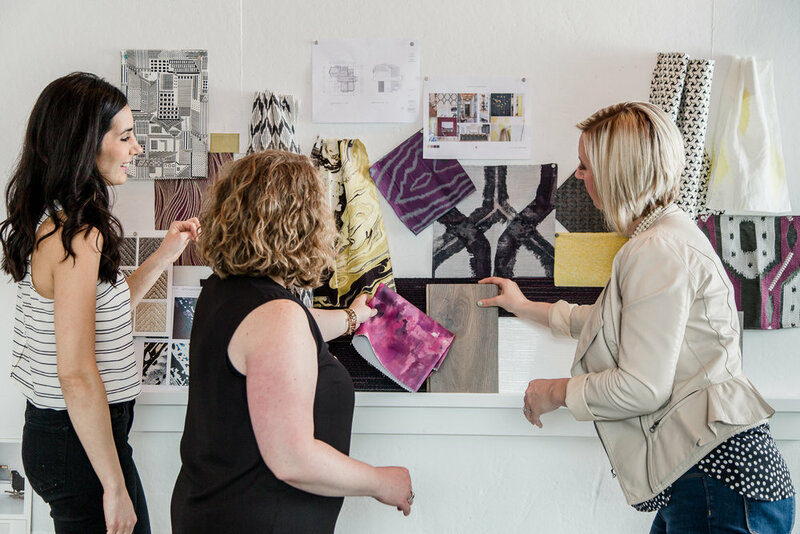 So, here are the top seven reasons why you should hire an interior design firm, rather than going it alone! After your first meeting with our team, we'll establish your budget. The team considers itself stewards of your money and will keep it in mind through every stage of the design and ordering process. When you d.i.y. your remodel or renovation, it's very easy to quickly go over budget. Without a designer's expertise, you may end up making mistakes that cost you money on top of your base budget. A designer will work with a line item budget and make sure you know exactly where your money is going, at all times. When you work with a design firm you also get their support when it comes to working with contractors and other professionals. This can also include negotiating pricing! When you work with a design firm, you get not only a team of designers but the firm's entire staff, including a project manager! Our team's project manager, Sarah, acts as your advocate. She acts as your liaison with all contractors, painters, and craftspeople. She makes sure that things run smoothly, so you don't have to. She advocates for you to make sure that your project is completed efficiently, and, if any issues arise (and they definitely will) she makes sure they're quickly resolved. To quote Sarah, "People don't realize how much time and coordination goes into a remodel, renovation, or project. My job is to take care of the things people realize will come up over the course of a project. Plus, with me on the team, clients only have to talk to me and the designers. They don't have to make time to talk to vendors or subcontractors, just me!" There are so many moving parts when it comes to remodeling, renovating, or building new. There's creating the design and working with architects, builders, painters, and other subcontractors. Then there's sourcing from vendors, stores, online retailers and dealing with shipping and storing accessories and furniture. With a design firm, you get a team of designers to create the design and communicate with builders/contractors, a project manager to act as a liaison between you and any subcontractors, and a procurement manager to take care of all ordering, shipping, and storing. If ordered furniture arrives damaged, our procurement manager will make sure that a replacement is ordered and inspects it before installation. If something goes awry with a subcontractor, our project manager will make sure that the problem is fixed. These are all things that you won't need to worry about if you work with a design firm. Unless you're a trained interior designer, architect, or contractor, you might be getting your d.i.y advice from HGTV. There's nothing wrong with that; who doesn't love watching those shows? But they can't replace the expertise of a trained designer. Our lead construction designer, Esra, puts it like this: "Without a trained eye, it's hard to find the right balance or the right scale. It may seem easy to copy a style you like, but it's hard to do that without making it too matchy matchy." Sourcing can be a challenge, as well, if you're not trained to do it! How do you pick the right surfaces? The best finishes? As our design director, Stephanie, said to me, "When you work with your a designer, you pay for the expertise as well as the convenience. Who wants to go to a big box hardware store and ask for advice on finishes? You never know who you're going to get when you do that. A designer takes the risk out of it and you get the best design possible!" Working with a designer you get access to vendors, retailers, and materials that you may otherwise not have access to. This gives you the opportunity to create a design that is collected and unique to you. Who wants a home that looks exactly like a Pier One or Ikea show room? Professional designers also attend trade shows, sometimes several times a year, that give them access to the newest, freshest materials, accessories, furniture and more. By hiring an interior designer, you also get access to the freshest design resources! When you work with a design firm, you also get access to their list of well vetted professionals. 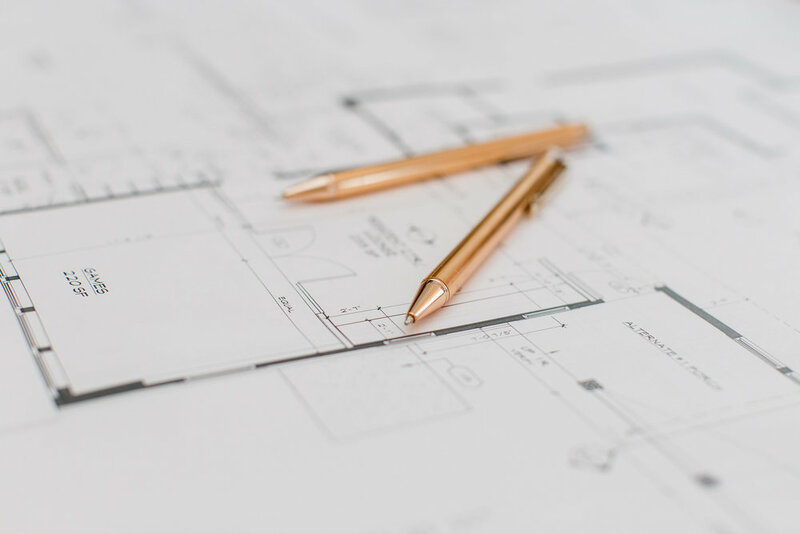 It's notoriously difficult to find reliable subcontractors but with a design firm's help, you'll find people you can trust. Interior designers are trained to see the overall picture, while also considering the details. Things you might not even consider important to your home's design (think wall plugs) can be crucial to the overall functionality of your house. With a professional's help, you'll get a highly functional design that is beautiful as well as unique. Designers are able to create spaces that look like you, not someone else. With a designer's help, your space will be collected, curated, and completely unique. Not only that, but a designer's expertise will help you push your boundaries and elevate your personal style. A professional designer can help you create custom furniture pieces and will make sure that everything from your home's color palette to its lighting fits your space perfectly. People notice a great design, especially if it looks like you. Working with a professional designer can help you translate your style and taste into an elevated, yet timeless, design. 7. You'll get the "big reveal"
Everyone loves watching HGTV shows, primarily because of the "big reveals". Who can resist a "before and after"? When you take d.i.y your design, you don't get to enjoy the "big reveal"! By contrast, when you work with a design team, you won't need to worry about installation of furniture or accessories. In fact, we take care of that for you! You won't even need to be present on installation day, so you'll get that great "before and after" feeling!